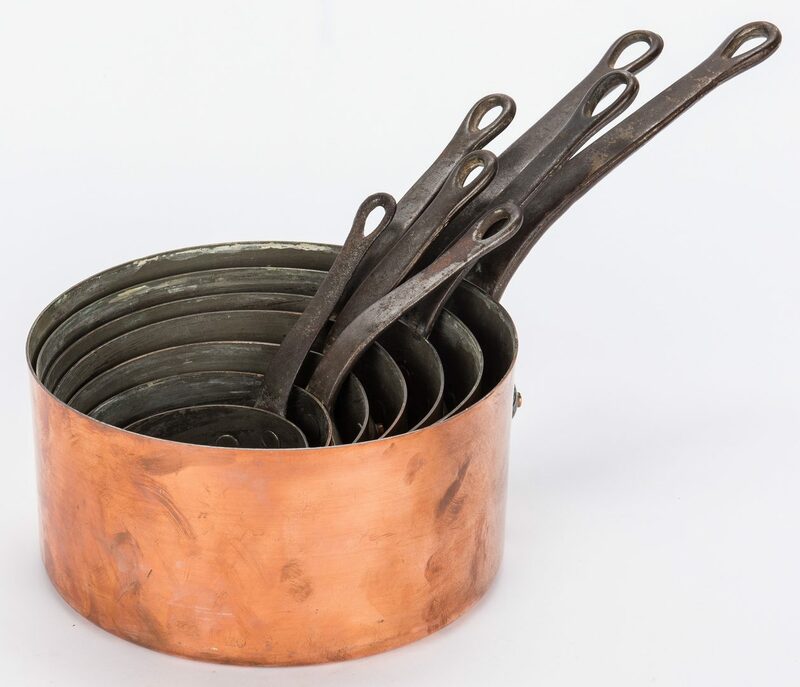 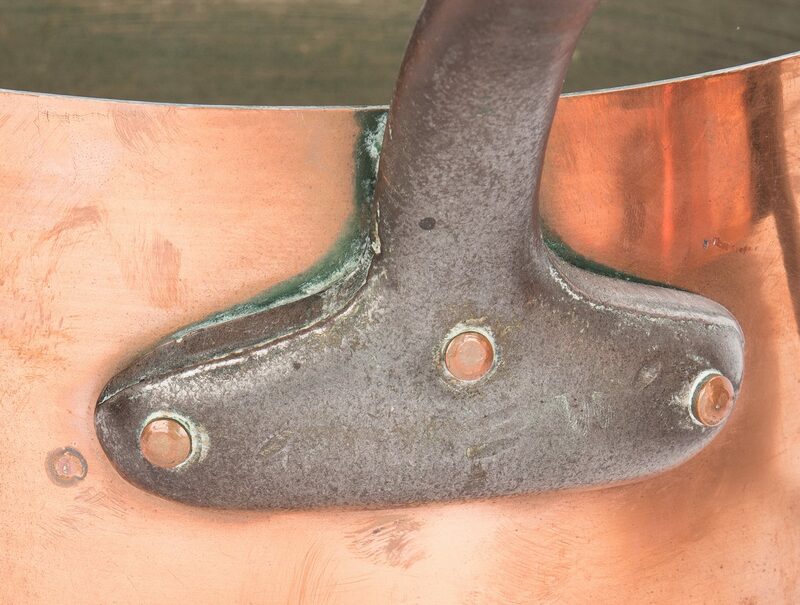 Group of seven (7) vintage copper pots with iron handles and copper rivets, all of graduated size ranging from 4" to 8 3/4". Total weight, 12.4 lbs, Likely French, early/mid 20th century. 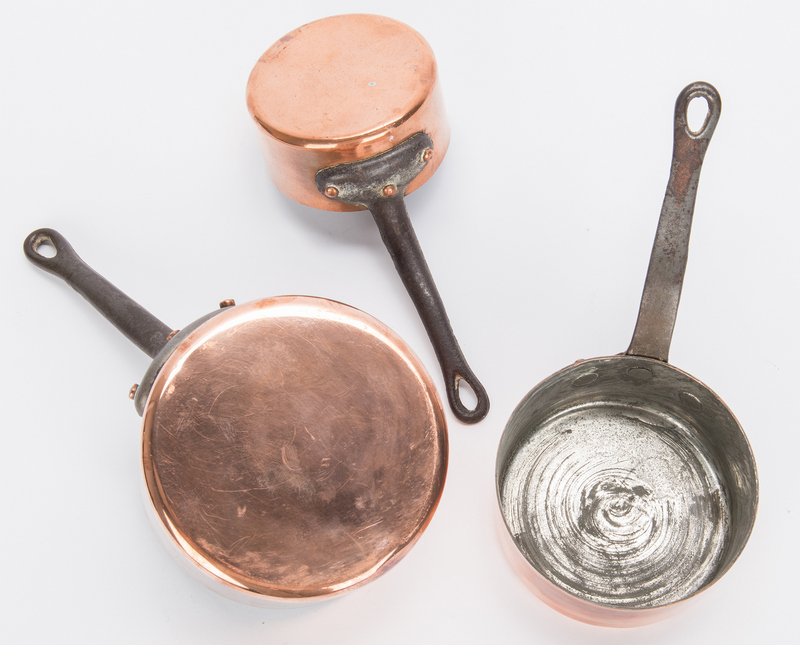 CONDITION: Scattered small dents and spots of oxidation, overall good condition.